Well-known hedge fund Renaissance Technologies LLC needs little or no introduction at all. 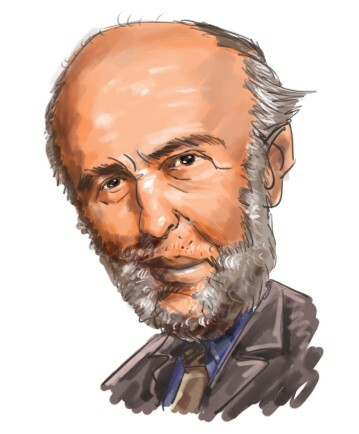 Jim Simons, also known as the “Quant King”, founded Renaissance back in 1982, while its Medallion Fund is considered as one of the most successful hedge funds in the finance world. The reputable hedge fund employs computer modeling that seeks for inefficiencies in highly liquid equities, a strategy that has turned out to very efficacious for the multi-billion-dollar investment management firm. Although Jim Simons retired from his hedge fund in 2010, he still remains engaged in the firm’s activities. Just recently, Renaissance Technologies compiled and submitted its 13F filing for the September quarter, so let’s take a thorough view at the hedge fund’s top stock picks at the end of the third quarter and their performance over the past several months. Renaissance Technologies upped its holding in fast-casual restaurant chain Chipotle Mexican Grill Inc. (NYSE:CMG) by 165,900 shares or approximately 52% during the third quarter. The shares of the popular burrito chain are 12% in the red year-to-date, mainly owing to an E. coli outbreak in Washington state and Oregon that closed 43 restaurants. Earlier this week, the company announced that those locations will be reopened, as health officials concluded that there was “no ongoing risk from this incident”. Even so, the shares of the company are trading at a high P/E ratio of 36.65, which is well above the median of 19.30 for the S&P 500 Index. Peter Rathjens, Bruce Clarke and John Campbell’s Arrowstreet Capital is another shareholder of Chipotle Mexican Grill, holding 120,511 shares as of September 30. The multi-billion-dollar hedge fund firm cut its position in Verisign Inc. (NASDAQ:VRSN) by a mere 35,300 shares during the September quarter, remaining with a stake that accounted for 0.84% of the firm’s entire equity portfolio. Verisign’s stock has been on a steady uptrend throughout the entire year, returning 43% year-to-date. At the end of October, the company reported its third-quarter financial figures, positing revenue of $266 million, which was up 4.2% year-on-year. Its net income came to $92 million or $0.70 per share, compared with $95 million or $0.69 per share reported last year. However, it appears that that the stock is relatively overvalued relative to the broader market if solely looking at its trailing P/E ratio. Specifically, the company has a trailing P/E ratio of 32.38, which is significantly higher than the ratio of the S&P 500. Reputable value investor Warren Buffett of Berkshire Hathaway owned 12.99 million shares in Verisign Inc. (NASDAQ:VRSN) on June 30.